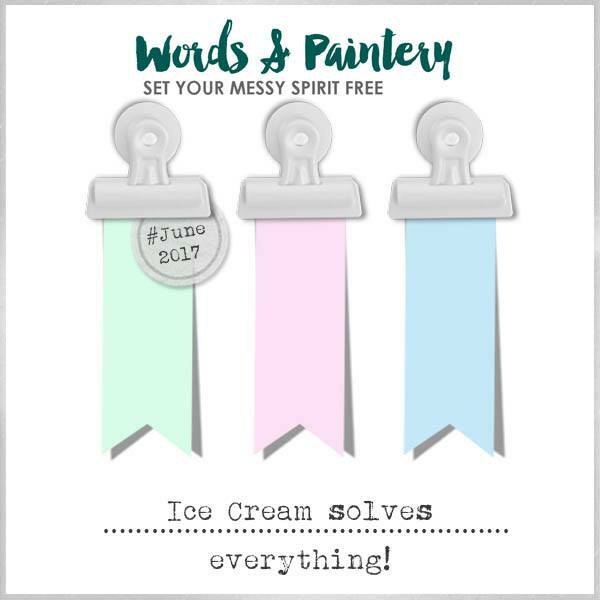 Today is the 15th, and that means it's time for another Words & Paintery challenge. 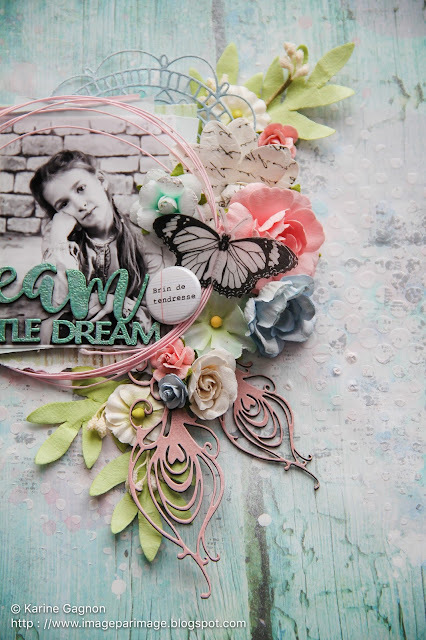 My layout is called «Dream a Little Dream». I have to admit I was scared when I saw it. It's beautiful, but it's so light and pastel, and I'm not a pastel girl! But in the end, I love the layout I created. 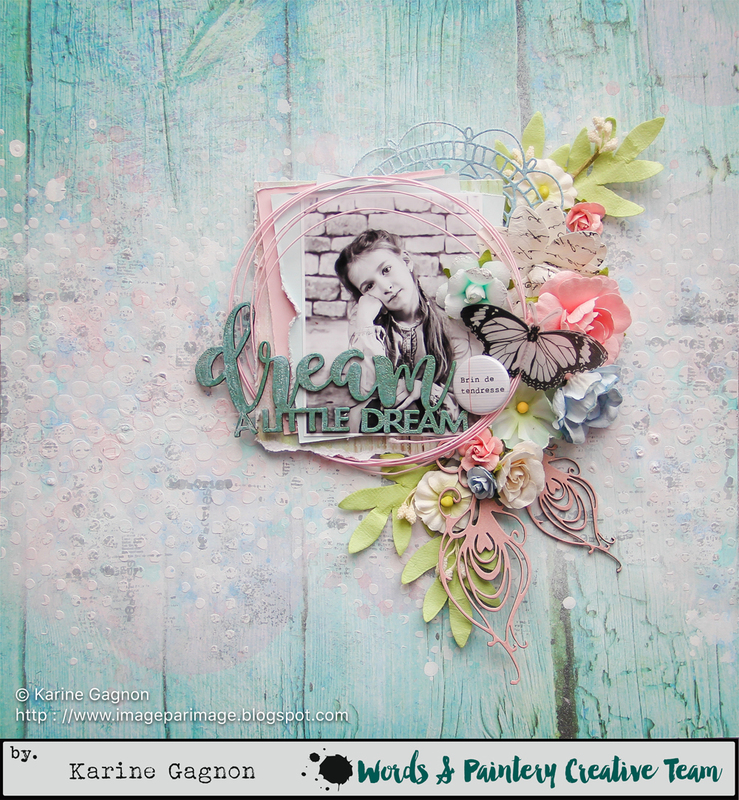 This 7Dots Studio paper from Verano Azul collection is just perfect for this layout. 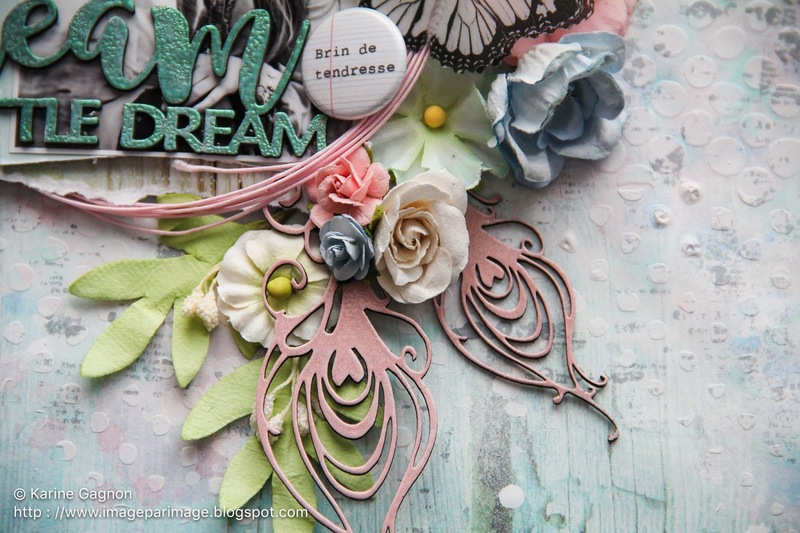 I used the Handdrawn Feathers chipboards pieces by 2Crafty Chipboards. 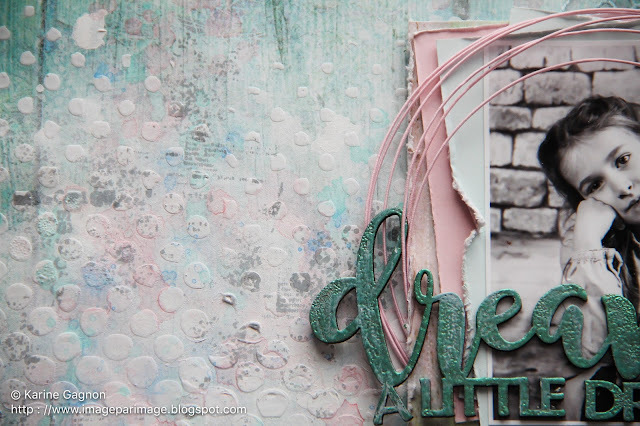 I embossed them with pale pink embossing powder. My title piece, the Dream a Little Dream piece, is also from 2Crafty. I embossed it with teal embossing powder. Come play along with us for this challenge, you'll love it.